Where There's A Meal, There's a Way - National S'more Day! For directions please visit Lovin' From the Oven. 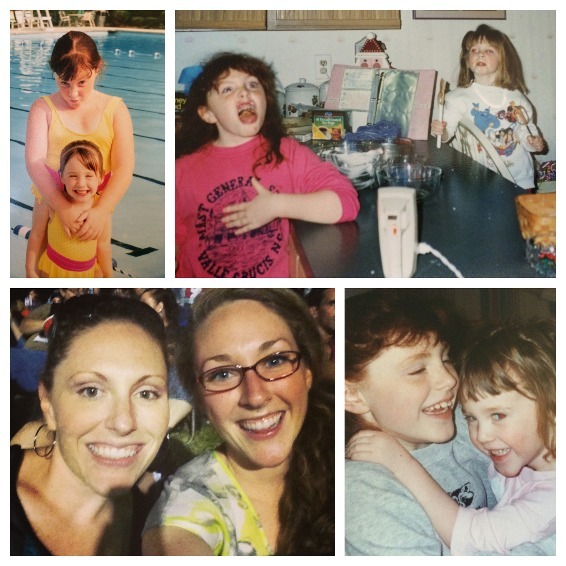 Meet my sister Rachel, the adorer of all things S'mores. To say my little sister loves chocolate, would be an understatement. Growing up my dad would give us Godiva chocolates from time to time. Rachel would immediately lick all her chocolates and leave a note on the box saying she had done so (pretty genius chocolate security system if you ask me). Needless to say, she also loves s'mores. 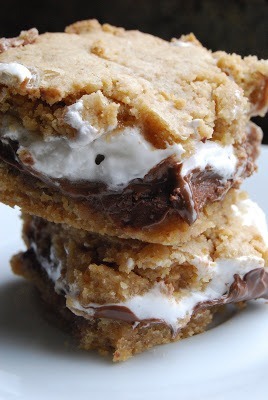 I stumbled across Lovin' from the Oven's s'more bar recipe on pinterest a couple years ago. Lovin' from Oven's Kim has managed to give you all the flavor of the favorite campfire treat with none of the mess in this easy to bake bar (genious, sweet genious). 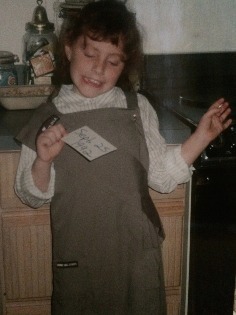 If you asked Rachel what her favorite homemade treat was, s'more bars would be it without a doubt! She requests I make it at all major holidays, birthdays and random Tuesdays. Craving a delicious warm gooey s'more, but don't have a campfire? Where there's a meal, there's a way! Craving s'mores? Blame a Brownie. According to wikipedia, the first s'more (or some mores as they were originally called) recipe was in Tramping and Trailing with the Girl Scouts in 1927. Since I was a Girl Scout Brownie back in 1992, can I say my ancestors invented the s'more? National S'mores Day is celebrated yearly on August 10 in the United States. Thanks to Lovin' from Oven's s'more bar recipe, now you can celebrate rain or shine all year long. 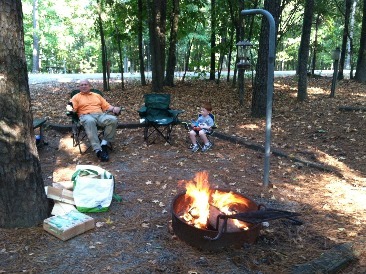 Joe and my dad took Tucker on his first ever camping trip last summer (men only). 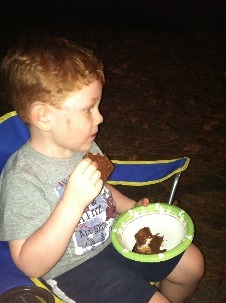 No camping trip would be complete without a campfire, and more importantly, s'mores. Tucker finishing his first night of camping ever like a champ. Chocolate, marshmallow and ash cover his face. Welcome to manhood my son.